When traveling abroad you definitely will need to stay overnight. Everyone has considerations for choosing hotel accommodations and appropriate. If you are traveling with friends, it might be easier to find cheap lodging room because the cost can be shared with friends. But if you are a solo traveler, you may be a bit of trouble finding a cheap hotel room for one person. As a solo traveler, you are actually quite free to determine the appropriate accommodation with your desire. All depends on your intelligence in organizing trips and around the time that will never stop and serve. You can also try various forms of lodging. You can stay at an airport, bus nights, room for rent, dormitory, private room, apartment rental, or train. You can stay for free at the airport. But if you want a more decent accommodation, you can rent a cheap room. In addition to cheap, room for rent in management is not difficult when compared with the hotel management. At room for rent just no room service, no service package tours, no breakfast, or calling a cab is not available. there is only one multifunction computer, ranging from administrative functions to the internet free for boarders. Rental rates are also low when compared with the dormitory rate, but the difference with dormitory room for rent is that you get a private room with bathroom inside and cable tv. In contrast to the room for rent, in the dormitory you can rent a bed in a room that is occupied by many people. So one room containing several beds, each bed separately leased to any person who wants. There are three types of dormitory, the female dorm, male dorm and mixed dorm. 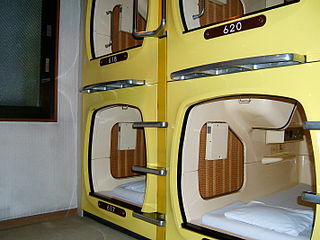 Dorm typically provide personal lockers for each bed. So even though a room with other people, your cargo remains safely stored in personal lockers. The problem of security is always a concern every occupant dorm. Do not let you forget to put your valuables. Dorm rental prices are comparatively cheaper than private room. Besides being a cheaper rate than the private room, you can have a lot of new friends. In the dorm you can share information and experiences traveling to friends of the room, you will not be lonely. Although many advantages of staying in the dorm, living in the dorm also has a bit of a shortage. Leisure dorm is dependent upon all the inhabitants. If there is one occupant naughty then all occupants will be disrupted. Only one bathroom so you have to wait if you want to use the bathroom. Some people there are who prefer traveling alone when compared with friends, or vice versa. People tend to prefer traveling alone on the grounds of freedom and more challenging. Meanwhile, people who tend to prefer traveling with friends because it is more festive and safe. When traveling with a group, you can divide the tasks to friends so that the load feel lighter and cost-effective transportation as well as pay for a taxi, you can split the fare along with four friends. Traveling itself is also very enjoyable because you will feel free. You can choose where and vehicles you want, when you want to stop sitirahat, when and where you want to eat, where you’ll sleep, and what your liking. In conclusion, traveling with friends and traveling alone can be both fun and interesting story if you can enjoy all the advantages and disadvantages.